Is your baby afraid of hair cut? A sensitive baby is born that way so to keep your baby calm, cool and collected by using Havells baby hair clipper which makes low noise and less vibrations Ceramic blades ensure extra safety for sensitive skin of baby. 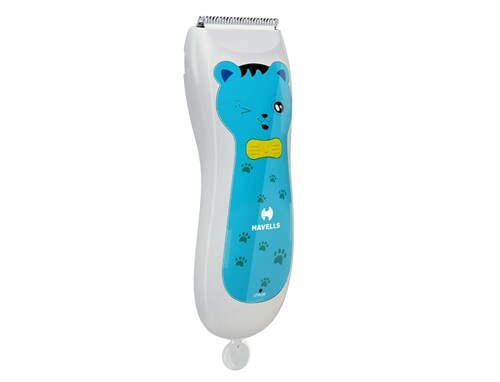 New mothers can easily trim their baby's hair and shape sideburns, neckline at home With IPX 5 technology you can easily rinse the detachable head with water after you are done and keep the clipper clean while storing. Also at the same time maintain hygiene factor for kids.